The council is reminding residents that the deadline for signing up for the full garden waste collection service is fast approaching. Residents must sign up and pay by 21 February to avoid missing their first collection, but are encouraged not to leave it to the last minute. 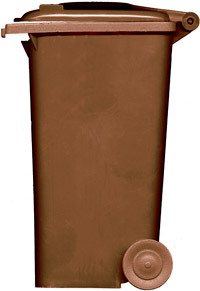 The service, charged at £35 per brown bin, offers fortnightly collections from mid-March to mid-November. or call into a local library where staff will be happy to assist with online payment. Those who have registered for the service will receive a sticker for their bin shortly before collections begin in mid-March. Midlothian Council’s cabinet member with responsibility for waste services, Councillor John Hackett said: “Thousands of residents have already signed up to our garden waste collection service, which starts in just a few weeks’ time. Signing up not only helps us reach our recycling targets, but also ensures the service can continue into the future. Residents who do not want to pay for the service can take their garden waste to a recycling centre for free disposal, or compost at home.